Showcase your favorite houseplant or grow your favorite seasoning herb in this lovely planter with drip pan. 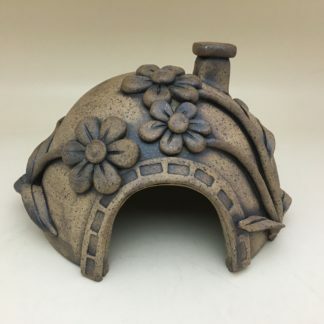 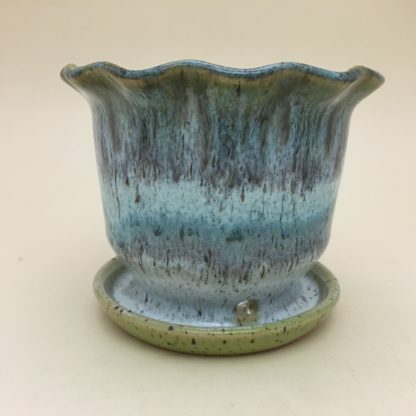 Measures approximately 4″ wide x 3 1/2″ tall. 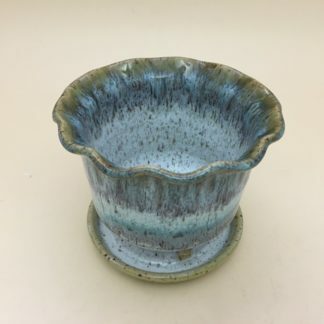 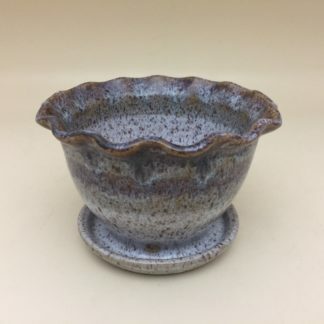 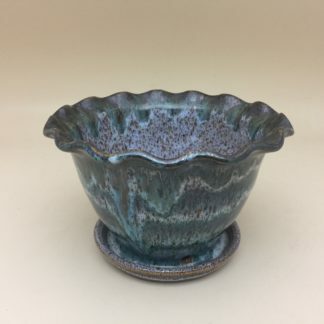 Glazed in shades of teal blue with hints of purple on a lime green underglaze. 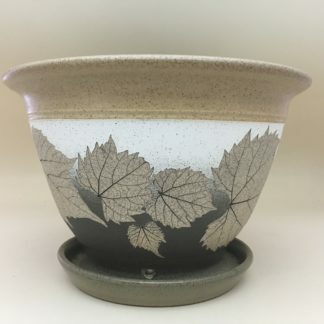 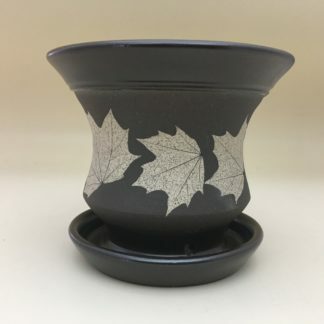 Glaze design may vary slightly from picture.